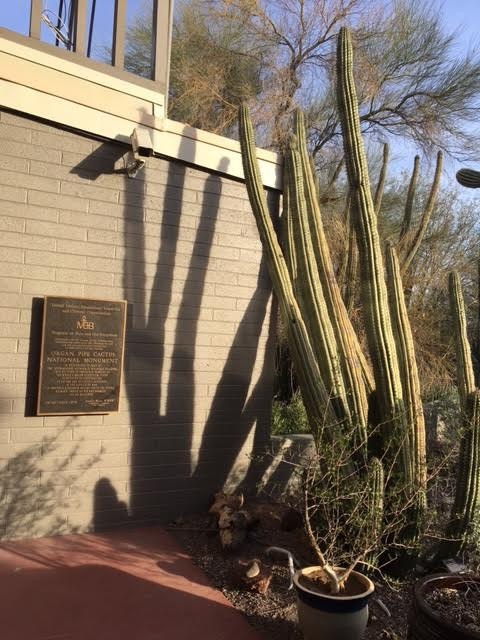 Standing in the shade cast by a twenty high border fence, our ranger discussed the challenges facing Organ Pipe Cactus National Monument as a park on the border between the United States and Mexico. The tour we signed up for was described as an opportunity to visit the Gachado Line Camp, a historic cowboy camp, and so we did. But as our ranger said, what people really want to see when they come down here is the border and that was true for our little group. 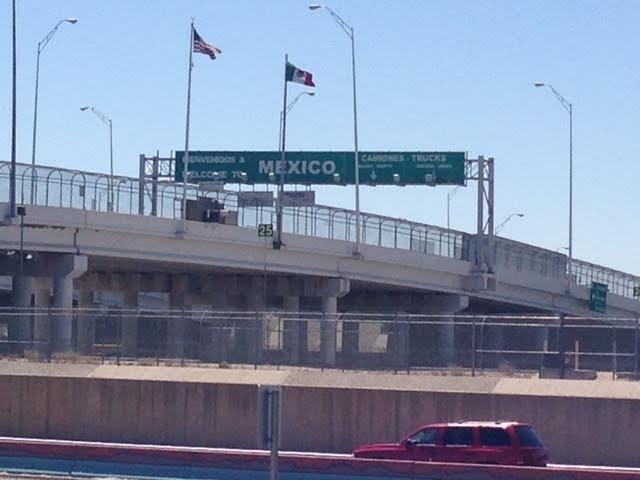 The southern border of the United States is an evolving concept. This particular boundary was imposed on the landscape by the Gadsden Purchase in 1853 and for decades it was only marked by intermittent concrete monuments. The first border fence, in what is now the national monument, was a strand or two of barbed wire to prevent the spread of hoof and mouth disease. It was only as illegal immigration and drug trafficking increased at the turn of the 21st century that the National ParkService installed a low metal vehicle barrier along the monument’s 31-mile boundary. This prevented vehicles from crossing the border and impacting the fragile desert environment, but was permeable to wildlife. In 2007 a twenty-foot border fence was erected for a five mile stretch on the park’s boundary by the Department of Homeland Security in part as a response to the tragic shooting of NPS Ranger Kris Eggle. He was shot in 2002 by a Mexican national who had fled into the park after committing a crime on the other side of the border. This spotlighted the security issues in the monument, border patrol presence increased dramatically and for years afterwards whole sections of the park were closed to visitors. Today with increased park staff and reduced incidents on the border, the park is once again open for business. 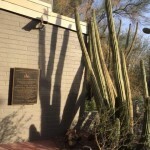 President Roosevelt created the monument by proclamation in 1937 for its exceptional Sonoran Desert habitat and as the northern most range of the Organ Pipe Cactus. In 1976 the park was also declared a biosphere reserve under the international Man and Biosphere program, which seeks to conserve examples of ecosystems around the world. Sustaining these values in particularly the Mountain Lions and the newly revitalized herd of Sonoran Antelope, is challenged by the boundary defenses. At this time wildlife population seem to be able to navigate around the high wall that only seals off a quarter of the park, but questions remain. 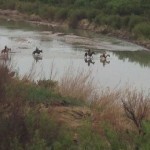 The National Park with the biggest footprint on the border sits on the big bend of the Rio Grande River in Texas. Because of its remote location and the ecological values of its riverine boundary, there are no barriers on the border in Big Bend National Park. 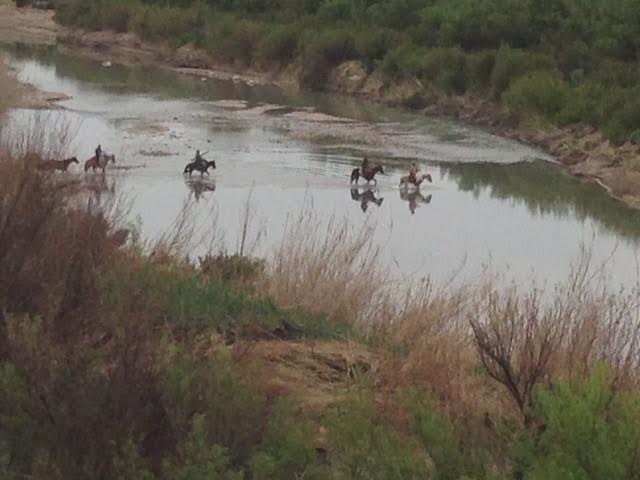 On a visit a of couple years ago, we watched local residents ride back and forth across the river as they have done for centuries. Just as at Organ Pipe, visitors to the park are provide with cautionary advice and sent on their way to enjoy this special Chihuahuan Desert environment. Authorized by Congress in 1937, the park was recently added to the US World Heritage Tentative list for its outstanding universal natural values. 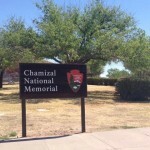 Chamizal National Memorial is not only right on the border between the US and Mexico, the mission of this small, 55-acre site, in El Paso Texas is to memorialize that border. 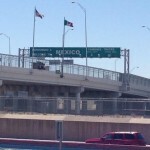 It was created in part by the 1966 Treaty of Chamizal that resolved a long running border dispute between the two countries. The recently prepared Foundation Document for the park defines the site’s significance as commemorating these successful diplomatic negotiations, the complex geography of the border, and the cultural connection between the people of the two nations. Very different than the other parks, Chamizal is in an intensely urban environment with the channelized Rio Grande as one boundary and car traffic from the nearby border crossing causing both noise and air pollution on another. 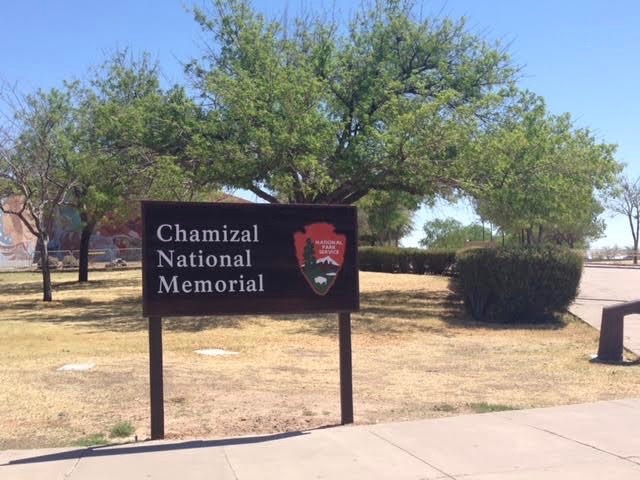 Among many challenges at the site, the document noted that NPS staff were unable to officially travel to the sister park Parque Publico Federal et Chamizal on the Mexican side, which constrains the cross border programming and partnership part of the memorial’s charge. 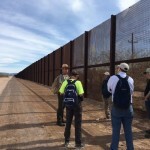 So here we have three vignettes of the current conditions facing US National Parks in carrying out their mission on the nation’s southern border. 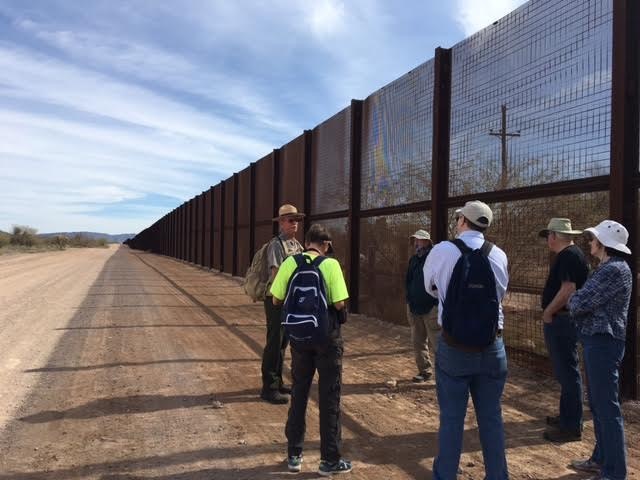 Recent proposals to harden the infrastructure of the border, for example to build a wall, and to increase militarization and enforcement will not make this any easier for our protected area managers. But I take hope from our Organ Pipe ranger’s concluding words. He said these are not National Park Service lands, not even the federal government’s land, they are your public lands, you own them. Let’s protect this priceless legacy.